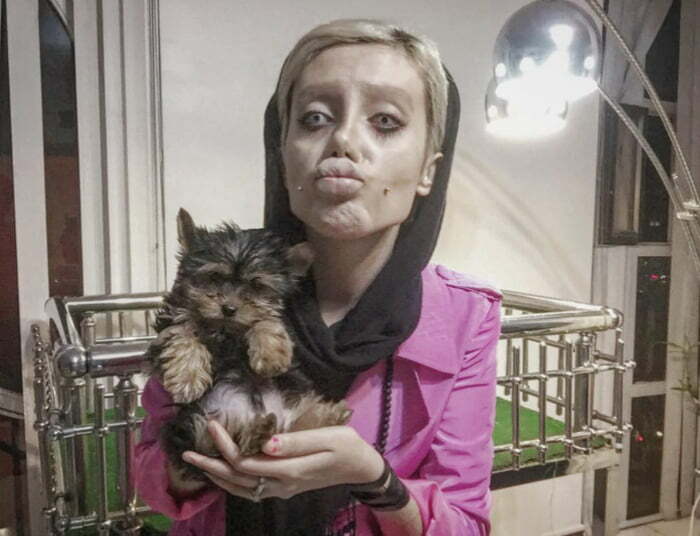 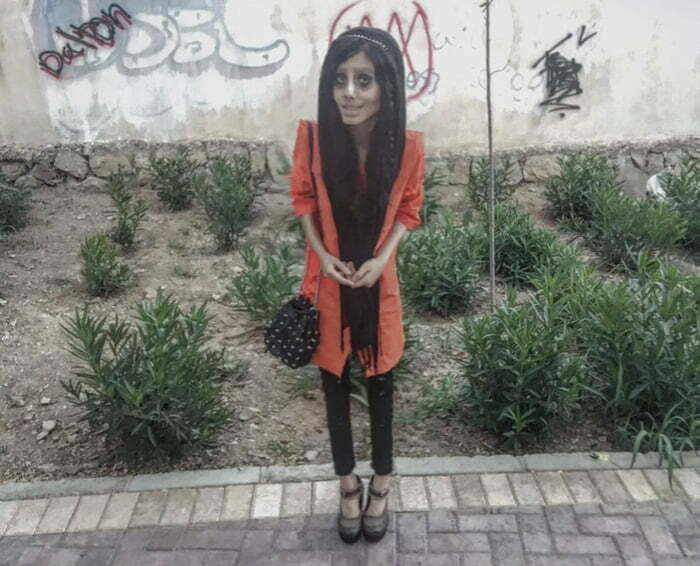 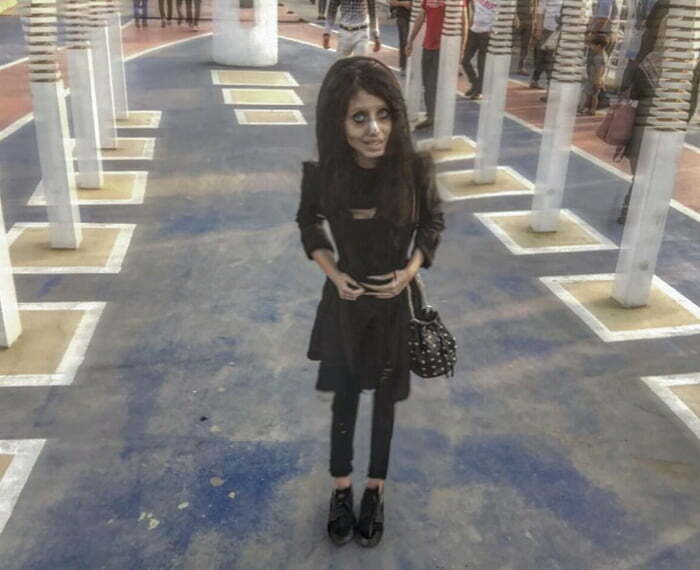 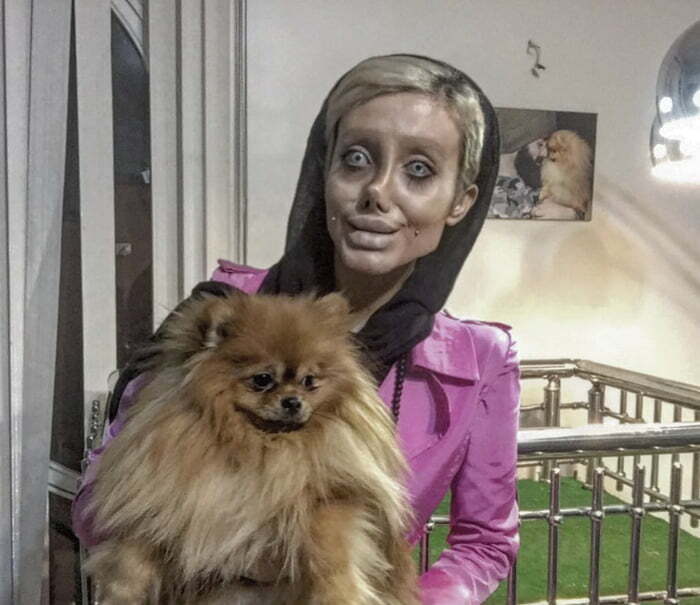 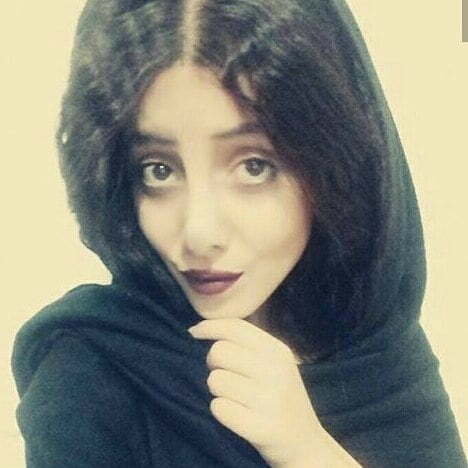 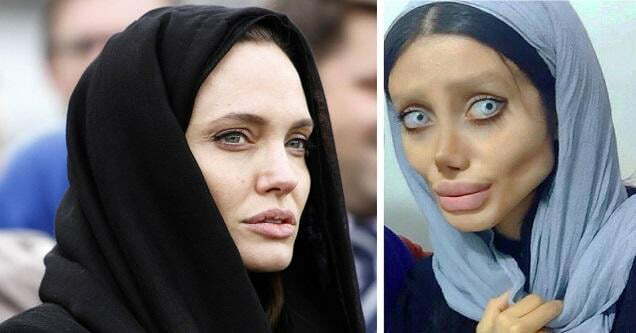 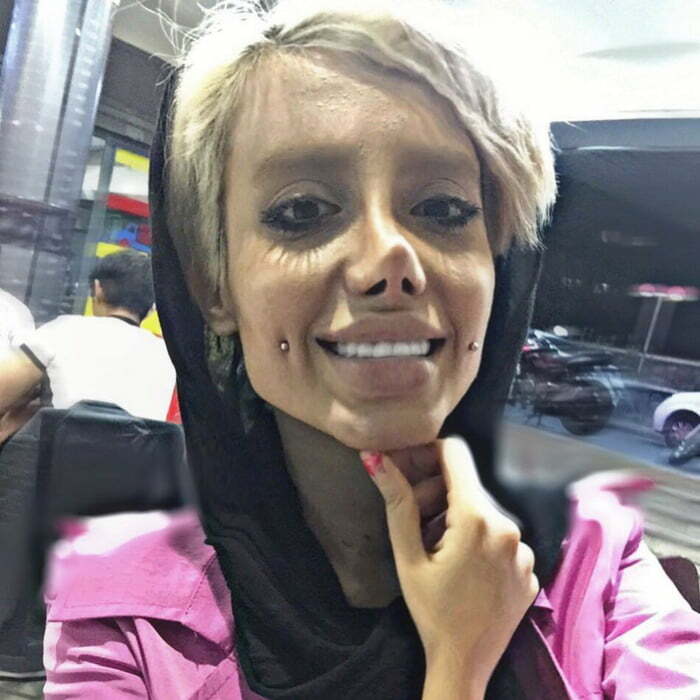 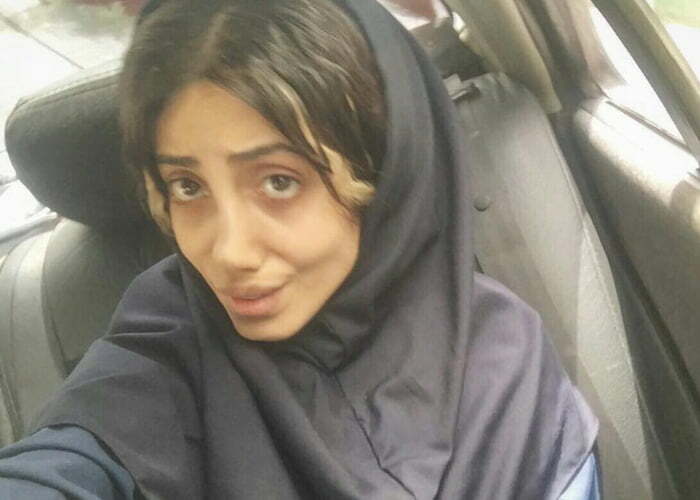 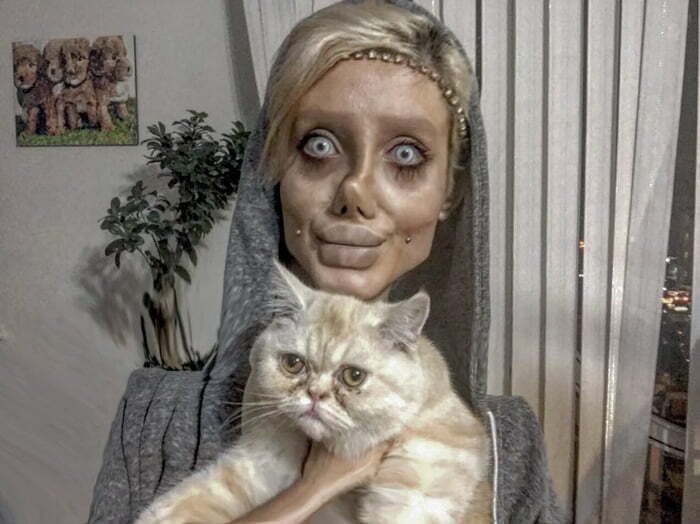 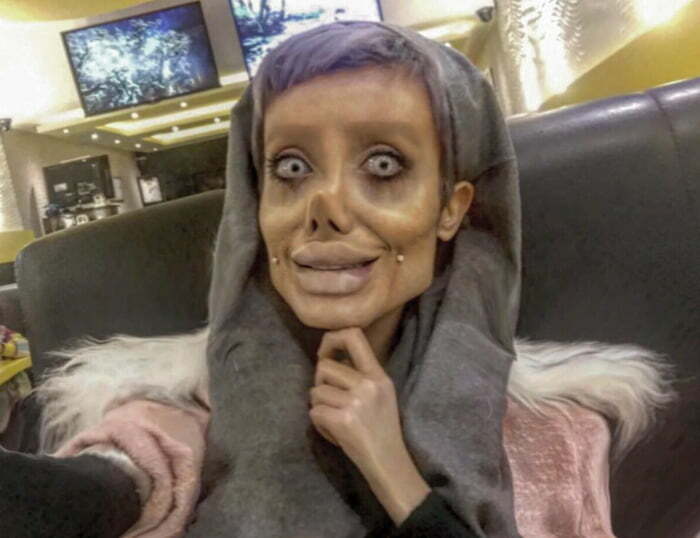 Sahar Tabar is a 19-year-old Iranian woman said to be undergone over 50 reconstructive surgeries and lost over 80 pounds, to look like Angelina Jolie. 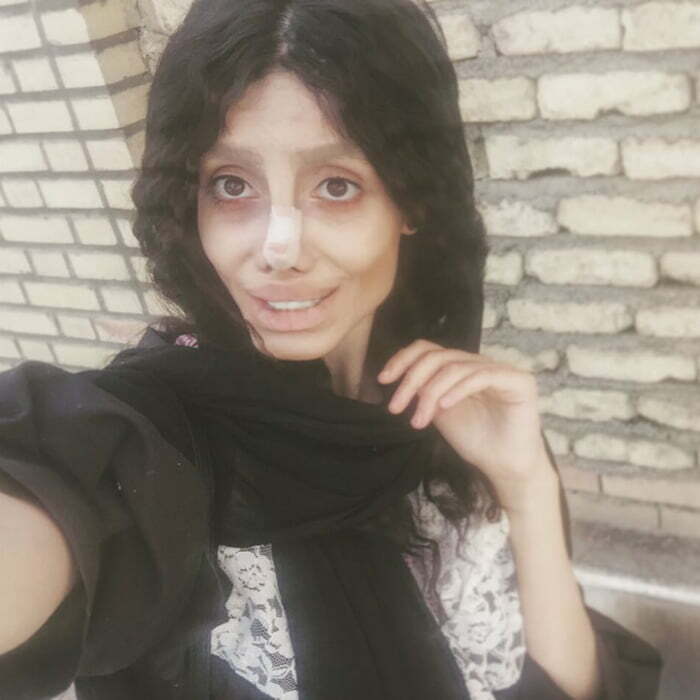 Little is known about Tabar and how she was able to afford all of the surgeries or her motivation. 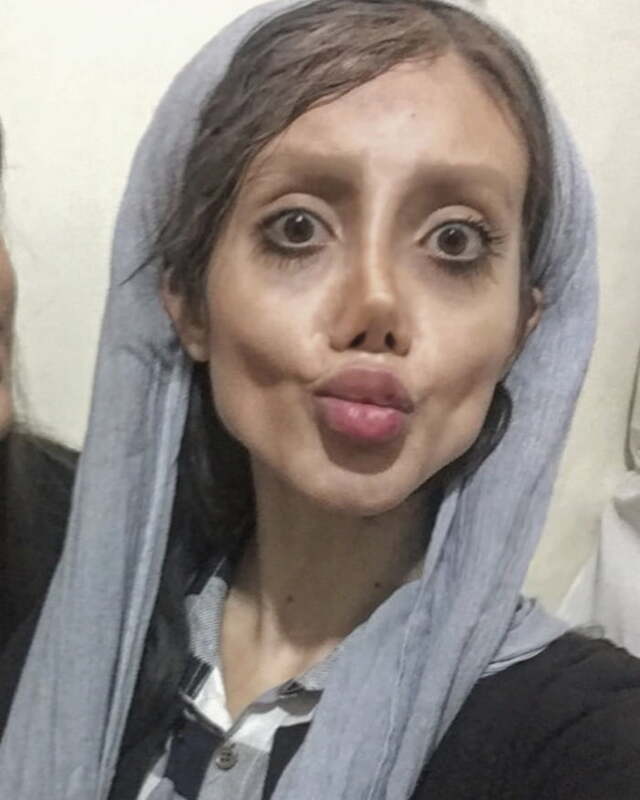 She has been reported as being 19, 22, and 29-years-old. 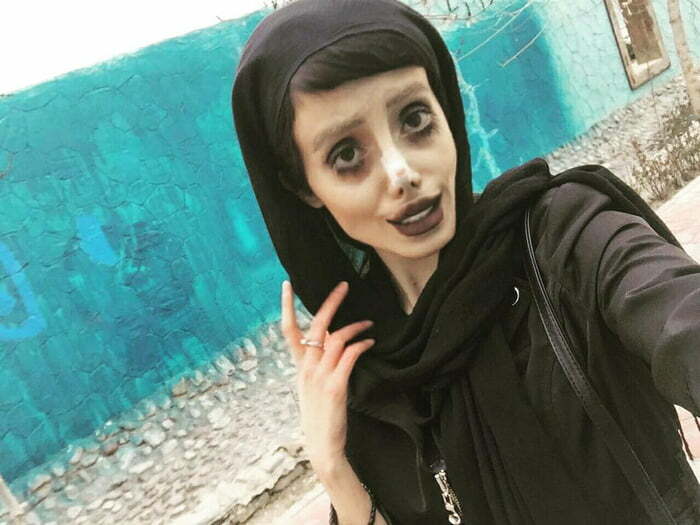 PS: It’s just make up guys, thank goodness for that!